It started, like many grand, elaborate, ideas, quite simply. I was in Palmerston North visiting Juliet of Crazy Gypsy Chronicles, going to Fabric-a-Brac and generally having a lovely time. At Fabric-a-Brac I picked up a gorgeous vintage rayon, with red and purple and rust flowers on cream. After Fabric-a-Brac, Juliet and I showed off our purchases, and Juliet displayed one of her treasures: a gorgeous vintage rayon, with red and purple and rust flowers on cream. At first I thought my fabric had accidentally ended up in my pile, but nope, we’d both bought the same vintage fabric. This got me thinking. 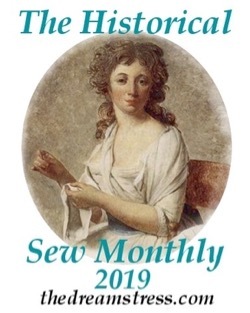 The sewing world is so small, and always has been. Nana in Whanganui and Grandma in San Diego had some of the same fabrics from the 1960s. 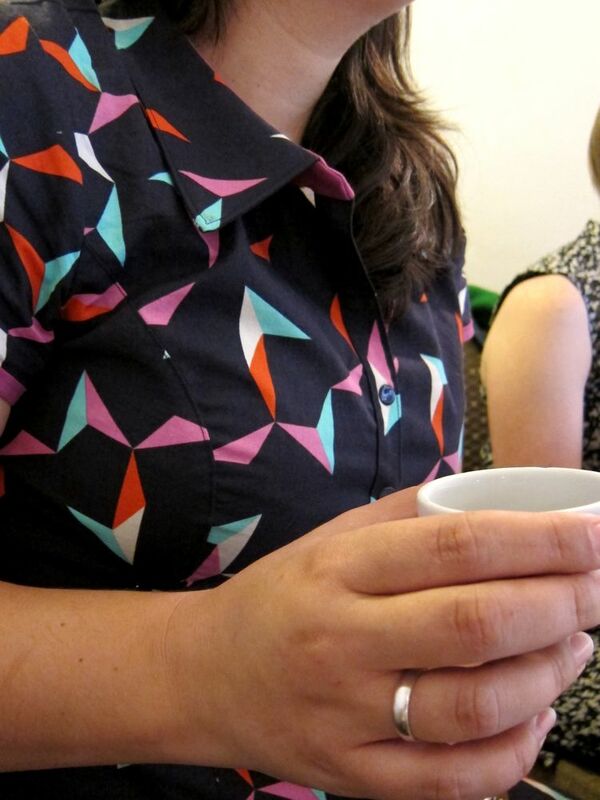 Every time a WSBNer makes an outfit one of us has the same fabric or pattern, or has already made something from it. Sewers around the world end up using the same fabrics and patterns. 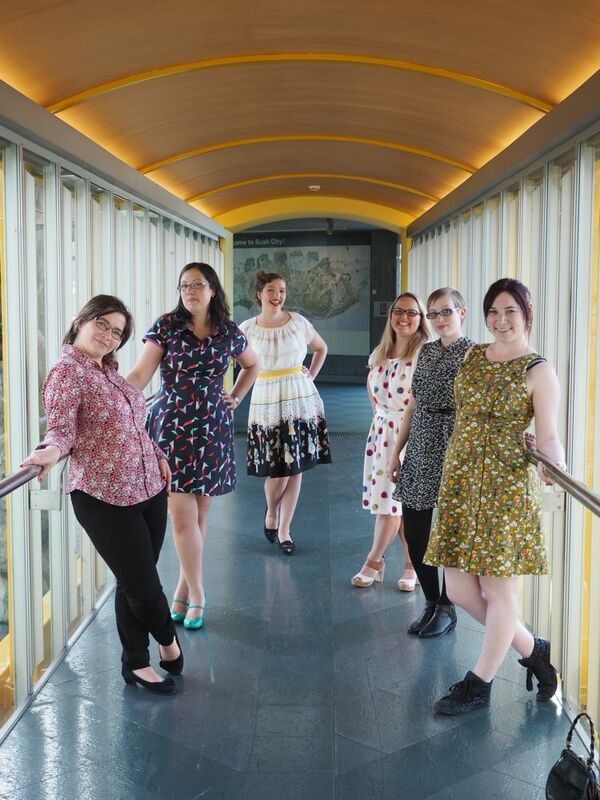 Only a few weeks before I’d done a bulk Decades of Style pattern order with other Wellington sewers, and Nina of SmashtheStash and I had both bought the Dorothy Lara dress – which is what I was planning to make the feather rayon it. 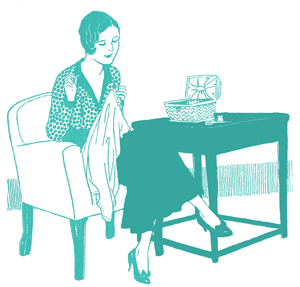 My Dorothy Lara would create a link between Nina’s pattern and Juliet’s fabric, for 0 degrees of sewing separation. 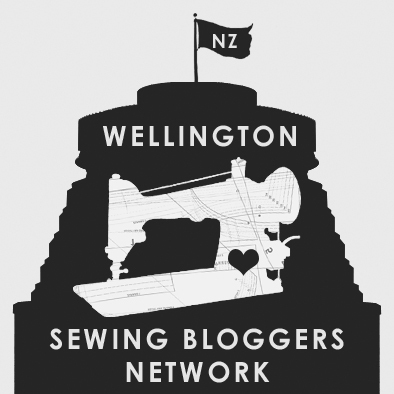 So, an idea: Could the Wellington Sewing Bloggers Network create a linking chain of sewing creations, where each person’s creation shares a fabric or pattern with the next person’s creation? For example, Juliet could make pattern A with her feather rayon, I’d make the Dorothy Lara dress in it, Nina would make the Dorothy Lara dress in a spotty fabric, and the next blogger would make pattern B in a spotty fabric, and then someone else would make pattern B in another fabric, and so on, and so forth! 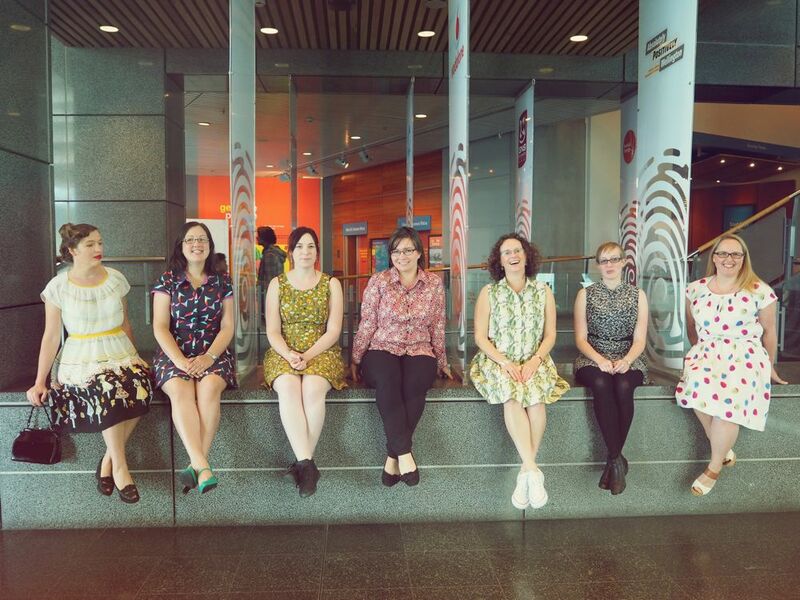 Three months of brainstorming, tearing through our stashes, comparing patterns, and sewing later, the Wellington Sewing Bloggers have a chain of creations that show all the links between the sewing world – and all the ways in which we take the same fabric and patterns, and make them completely unique to us. 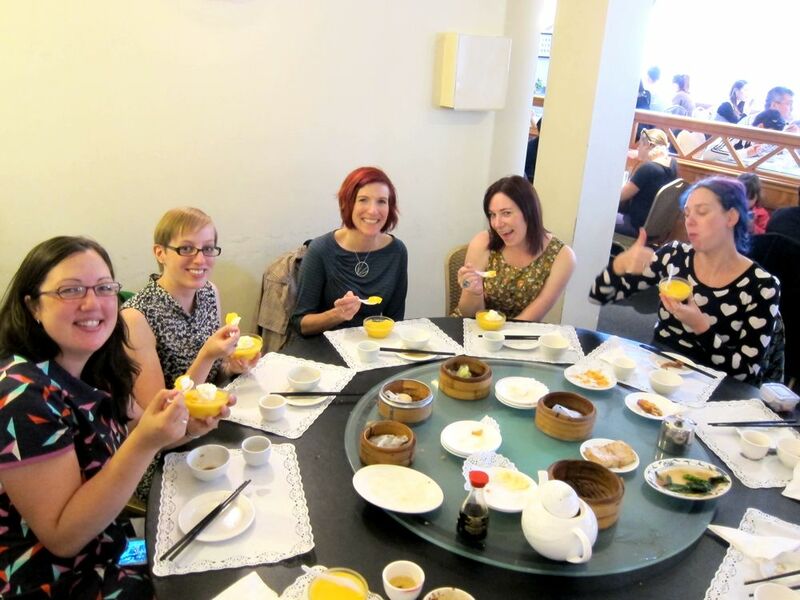 To launch it off, we (well, half of us) got together for yum char (yum!) and photos, and to drool over each other’s makes. Which means you get a sneak-peek at some of them! Too sneaky? Want a proper look? And that’s only 6 of the 20+ links! Follow us for the next month and a bit! (really! ), too see all the creations. I’ll update this page with each day’s blog post. And look! There is even a cunning little sidebar button to follow! #2: Silly Billy Sewing’s Sewaholic Granville – in red floral! (and Silly Billy is responsible for the fabulousity that is these two final photos). 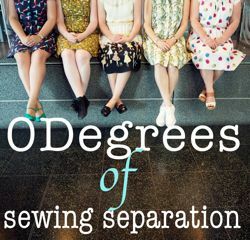 Since the sewing world is so small, I’m sure some of you have made something in the same fabric or pattern – if you have, leave a comment with links to it so that we can extend the 0Degrees of Sewing Awesome circle! You could even grab the blog button for your post to extend the linked chain! 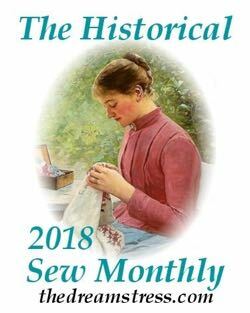 The sewing world is so small! I follow your blog but live in Auckland. I was down for a weekend in Wellington and walking up the Te Papa stairs and there you guys all were! You looked fantastic! Oh my it certainly is! How funny! Sorry we didn’t manage to chat! And thank you! God, you guys have the best get-togethers! Thank you! 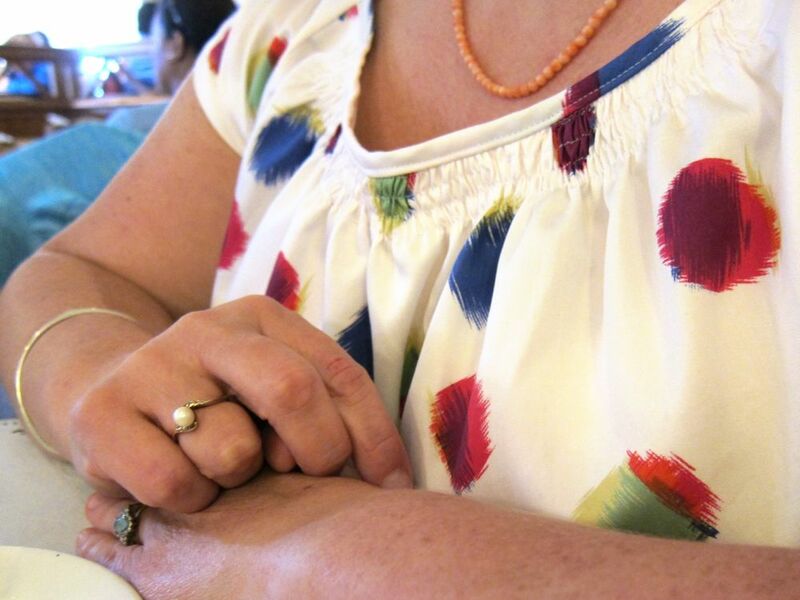 You may see something in your chain that links you in – it’s amazing how global fabric and patterns are.